Prince William County and the City of Manassas, with the help of Historic Prince William and the Historic Commission, will be hosting an extensive two-day history symposium that will touch on different periods of Prince William County’s history. Throughout the weekend, we will be featuring speakers throughout the day that touch on a variety of subjects from George Washington in Prince William County, to the county’s involvement in the Civil War, World War I, and the integration of Prince William County Schools. Saturday evening, guests will enjoy an exclusive reception at the Manassas Museum with an opportunity for a unique experience to interact with the Museum’s collections. On Sunday, we will be offering an exclusive bus tour to four privately owned historic homes throughout Prince William County, including Bel Air and Park Gate. For more information, see the PWC Manassas Symposium event flyer. Help develop a master plan for this area of Old Sterling. Check out the details on this Design Charrette2 flyer. The Waterford Foundation has launched a new initiative, craft classes in a variety of arts. The first four are being held August 19 – 21, 2016. Two are in the building arts, one in decorative arts and then one in archaeology. Here is a link to register and learn more about the effort. Next year marks the 50th anniversary of the 1966 National Historic Preservation Act. The law responded admirably to the many challenges facing our nation’s historic patrimony 50 years ago. As our nation celebrates the law’s half-century mark, the question arises – what will the next half-century hold for historic preservation policy and professional practice in the United States? Will the way we now conduct or even define historic preservation change? Much will change in the next half-century. Will the old policies, and practices still work? If not, what are the models? The 7th National Forum on Historic Preservation Practice will explore our future within the context of five significant drivers that will shape our future: demographics, economics, environment, technology, and education. Will the nation’s expected “majority/minority” population shift, decline in fertility rates, and longer lifespans impact historic preservation practice? How will historic preservation practice and policies change in response to a post- service/co-production economy, changes in monetary and banking systems, and changes to the tax codes, among other economic trends? How will advances in science, information technology, and communication affect the professional practice of historic preservation? How should historic preservation practice response to the effects of environmental change? Should there be better integration between natural conservation and historic preservation? How will historic preservation education better prepare professionals for the future of preservation practice? 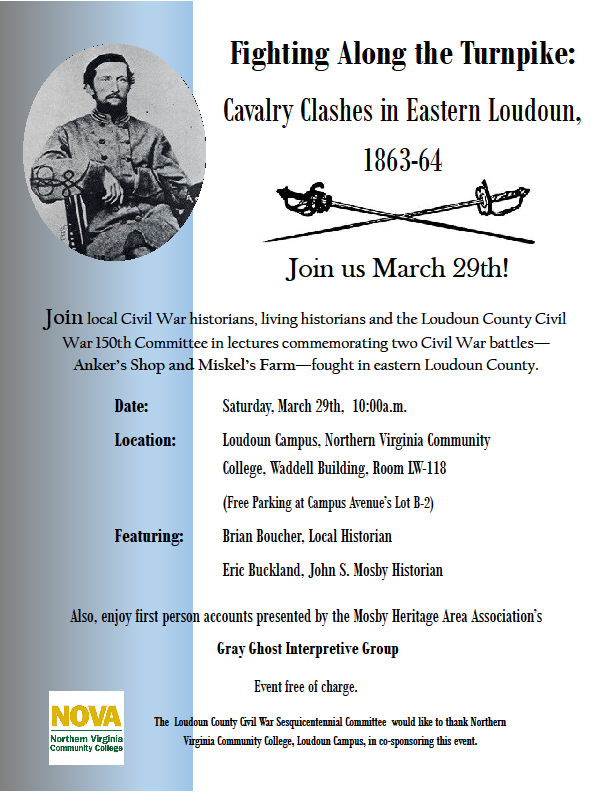 Three events this February in Loudoun County. See the information on the flyer linked below. Details on the upcoming interdisciplinary conference on the study and interpretation of Virginia History and culture can be found here: http://www.virginiaforum.org/2014-conference-gmu/ . This should be of interest to any one involved in history and preservation in our region. Enjoy! On Saturday, March 15, Gunston Hall is holding a symposium on the question, “How are historic house museums adapting to the future?” Admission is $15, which includes lunch, and the speakers include some faces that may be familiar to NOVA Historic Preservation stalwarts. Details can be found here. 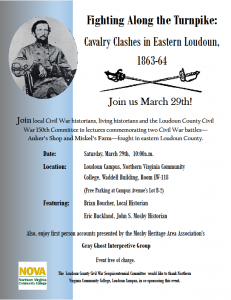 Here are a couple of interesting events being held in the next week or two at historic Morven Park in Leesburg, VA. It’s a facinating site and everyone is encouraged to check it out! Sat., April 13 |4-5:30 p.m. Experience happy hour outdoors, in the formal gardens of Morven Park’s historic grounds. Beginning with a tour of the Davis Mansion, learn about the lives of its former owners, then enjoy wine and cheese in the place that was their pride and joy … the boxwood gardens. Thurs. April 18 |7-8 p.m. This very exclusive look at the extensive silver and china collections within the Davis Mansion will allow a select few the opportunity to handle collection items while learning proper table setting.